tutorials, and the ones that aren't you can easily figure out. 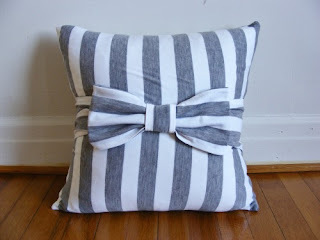 The image is linked to other pillow tutorials, not just the bow. Cute handmade scarf used perhaps as a wrapping embellishment, a way to tie a few things already wrapped, or as wrapping itself for something small and equally stylish! Perhaps a necklace you bought from Etsy? Or maybe a nice pair of flat shoes! 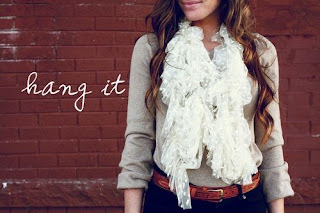 Or make several (there are -many- tutorials on Pinterest) if they're crazy about scarves (like me!) and wrap all their gifts in them! It's a twofer! 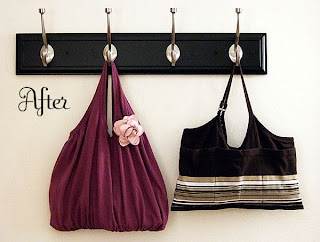 Following the same ideas as above, turn a pretty but too small tank top into a cute bag (this would be -perfect- for my dear friend Catherine, except I'd have to actually go to her house to even use a sewing machine! And then I'd also need her help xD) and fill it with cute things - like scarves! 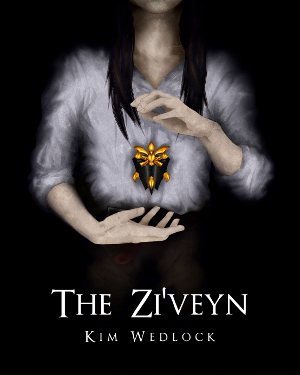 Oh, Kim, stop it! 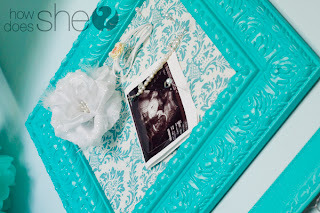 This would be great for me since my Etsy shop is essentially my notice board (proof of postage receipts, finished and unfinished necklaces, business cards and packaging etc) - get a cute frame, cork board and some cute paper and spray paint, put it all together, and include a few simple gifts pinned to it! Be they wrapped or unwrapped! Though if they are wrappe, make sure the scarf--paper! The paper works with the colour of the board. I promise I won't mention scarves again. If you've bought someone some new clothes like a really cute dress, Mod Podge a hanger to go with it! 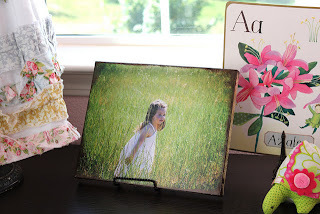 Mod Podge will fix fabric to most surfaces (including plastic and pennies!) 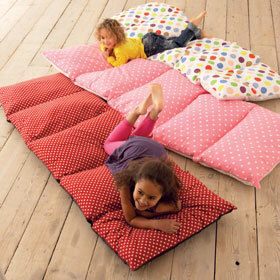 -very- securely, so have a look on ebay or some fabric stores and get some gorgeous vintage fabric! There's a fabulous seller on ebay, I absolutely love the fabrics, though they are a tad pricey. You can keep the fabricy feel as well (which, it has just occurred to me, will also help to prevent clothes from slipping off it and finding them at the bottom of the waradrobe the next time you bravely peer inside) if you don't put any mod podge on top of the fabric. Podge is great sometimes as just a glue! 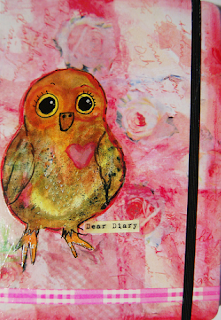 If your friend is an avid journal writer and you consider yourself an artist, you could always buy a nice hardback journal and mod podge it up too (I like my 'podging :D), then also do some nice sketches inside on odd pages through the book that they would appreciate, and perhaps write a lovely note to them on the first page! A really cute jewellery stand that I intend to make a couple of for my fairs, it would be great with some pieces of jewellery accompanying it! 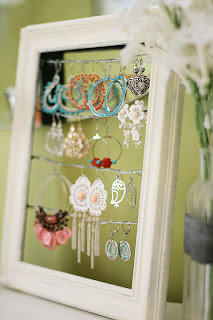 Adjust the space between wires for the jewellery of your intention, or make a set in some complimenting colours! Make these! Seriously! Get some good quality pillows, then get lots (and lots) of luffly fabric and make some pillow cases, then stitch them all together! You could even do two layers for extra comfiness, but you'll need to buy the actually pillow insides yourself - I don't know anyone with so many pillows lying around!Alternatively, you could buy some premade and gorgeous pillow cases (remove the tags and they'd never know!) with not-so-faulty stitching and then sew them together! If you feel guilty for that, you could always add a few personal touches - perhaps edge them with lace, or add some lace panels, or buy some of that previously mentioned luffly fabric and add some of those as panels instead, down the middle or something. If you don't trust your stitching, stitch them on top of the fabric that's already there. THEN, when you've made however many you want (one, two, four, seven - is it for an individual, or a family? ), buy a DVD or two and some lush movie-night treats and drop them into the pillow cases, or place them all on the middle pillow and fold the others on top and use a sca--ribbon to tie it together! 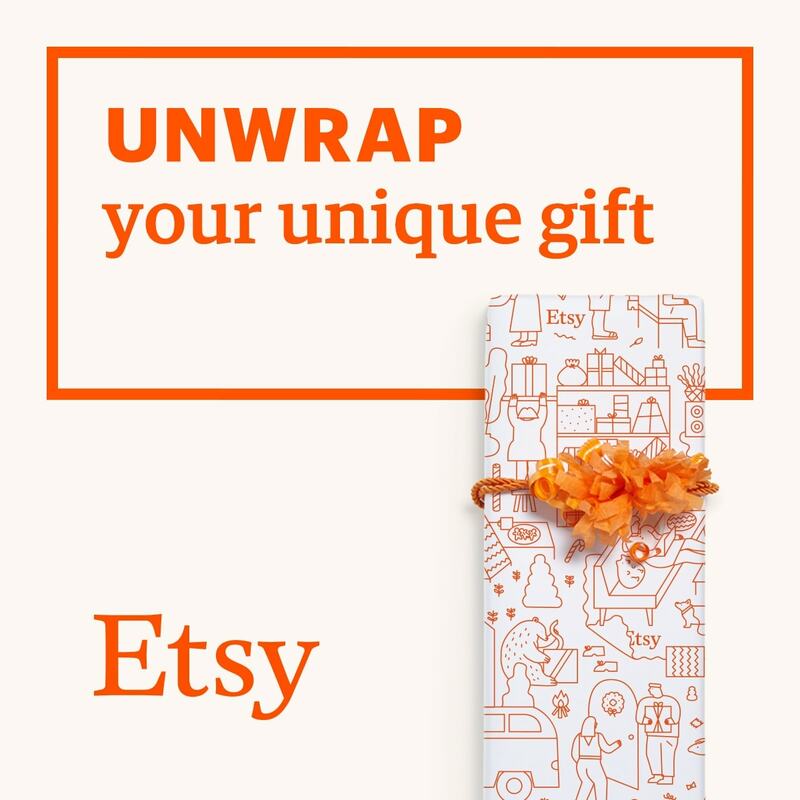 It could be a great family or couple gift! Get 4 or 6 canvasses and then a box. 4 canvasses must be the same size as the sides of the box, the other two are optional, depending on if you want all surfaces of the box covered. Then either paint some nice words (or do something more awesome with wooden letters - see pinterest, as usual), paint a picture, or transfer some photos to the canvasses, then fix them to the box. It'd be best to use blue tack, probably, and use it to fix the corners of the pictures to the corners of the box, so that they can be easily removed with no damage. You could always tie some nice wide ribbon around the outside to surreptitiously hold them in place if you're worried they might pop off, and if you've covered the top and bottom of the box, then just either use double the length of ribbon, a second piece of ribbon, or trust your blue tacking skills. Then you can use the disguiesd box to safely house another gift, be it another home decor piece or something fragile. Or something you want to be such a surprise that the box itself is too big or the wrong shape so as to avoid giving it away. Perhaps fill it with tissue paper and a couple of weights or something and have some tickets to a show or something on the surface inside. While I admittedly have no idea how to -actually- expand on the above image, I have some ideas that would be worth a try. You could simple buy an old jewellery box, or get a nice box from a craft shop and simple embellish it, but if you're awesome, and seriously smart, you can try and expand on what I came up with. 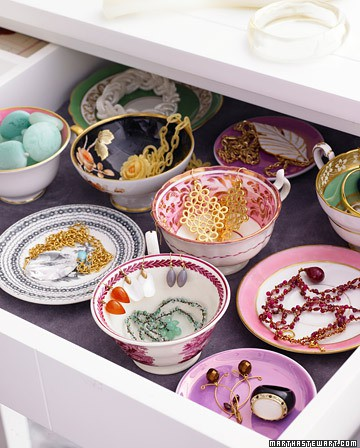 I am going to try a tutorial on this at some point once I find some nice teacups that I also wouldn't cry for too long over after accidentally destroying them with failed attempts, so hopefully you can check back then. I will update this post at that point :D You can do this, as long as it'll look great on a shelf and really suit the recipient, then add some jewellery inside it as other gifts! do check back for some help with Christmas dinner! Please note that I take no credit for these images, or the tutorials they offer. The only tutorials I take credit for are the ones I've gone as far as to write beneath them, and those are generally simpler methods using pre-made pieces. I've tried to link all images to their original sources.